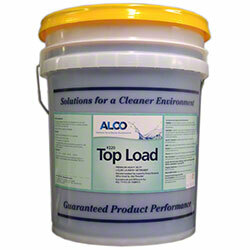 Alco Top Load - Alco-Chem, Inc. Concentrated liquid laundry detergent formulated for top load laundry machines. Use in hot, warm, or cold water.